Emerald Book Co, 9781937110604, 275pp. I overcame crime, drugs, and poverty to make millions of dollars in a short period of time. I m an average guy who learned how to ask more to get more out of life. 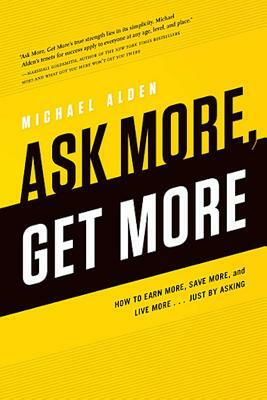 The strategies and techniques I outline in this book can help you get just about anything a better job, a new house, or a great vacation faster and more consistently if you re willing to follow my advice. Michael Alden is CEO and founder of Blue Vase Marketing, LLC. After earning a bachelor s degree in political science from Springfield College, Michael started his career in customer service while attending Suffolk University law school. He moved on to the sales division of a DRTV call center, quickly becoming a sales manager and then serving as general counsel for four-plus years. Under his direction, Blue Vase Marketing, LLC (recently listed in Inc. magazine as one of the fastest-growing companies in the United States) has grown to be a premier direct response firm that covers every aspect of direct marketing. Michael also hosts most of the infomercials produced by Blue Vase. www.michael-alden.com"